We’re inching closer to the end of the month, and that means that all of the biggest game releases are on the doorstep. 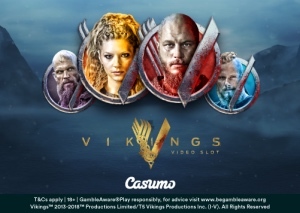 You can find fresh new slots such as Vikings from NetEnt and Nitro Circus from Yggdrasil available at Casumo this week, and you could win some extra cash by playing the weekly special Reel Races! When the last week of the month comes around, you can expect the monthly blockbuster slots from the likes of NetEnt, Play’n GO and Yggdrasil to be released. One of the games you should check out this week is Yggdrasil’s Nitro Circus. This unique slot has an exciting bonus game where you pick up bonuses and multipliers by doing daring stunts. But the headline of the week is Vikings from NetEnt. Vikings is based on the wildly popular TV series of the same name, and if you have watched the show you will recognise all of the characters. This fantastic video slot has 243 ways to win and several bonuses such as a hotspot feature, a shield wall feature and a raid spins mode. We have already tried it, and we can safely say that we will be playing this adrenaline packed NetEnt slot for a very long time. Other interesting games that are arriving to Casumo’s casino section this week include Primal Megaways from Blueprint, Baron Samedi from Yggdrasil, and Asian Fortunes from Greentube. You can always get a quick overview of all the new games in the games lobby, so head over to Casumo and see if you’ll discover some new personal favourites! In this week’s series of Casumo Reel Races you can play two popular Play’n GO slots for a shot at a top prize of £2,000 in cash. On Thursday at 20:00 CET there will be a special Reel Race on Book of Dead, and on Friday and Saturday at 20:00 CET you can try your luck on Fire Joker. Beat the competition and go home with a boosted Reel Race cash prize. And as always, there’s a series of Reel Races starting on Sunday at 18:00 CET. A new race starts every hour until midnight, and you could win up to £1,000 by playing slots such as Starburst, Foxin’ Wins and Big Bad Wolf. 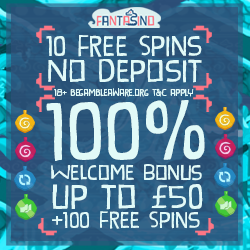 Consecutive wins, big wins and super wins will get your name on the leaderboard, so cross your fingers and see if you have the luck that is required to win! Click on the link and open an account at Casumo to check out the Reel Races.